Please call with questions on our Amish Secretary Desk! 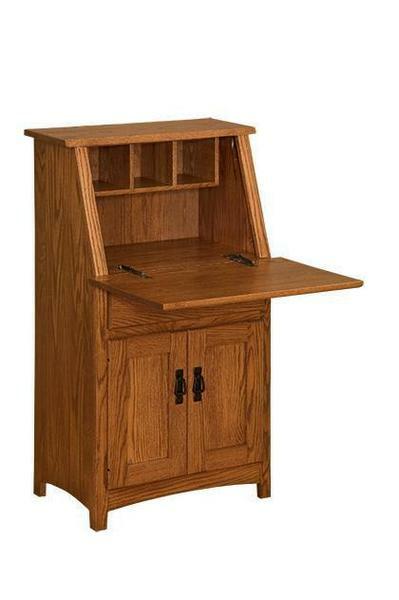 This mini secretary desk has one adjustable shelf behind the cabinet doors. The convenient flip down top offers a great writing surface. Shown in oak wood with a harvest stain for an attractive golden brown look. Select your own wood and finish to personalize your new secretary desk and enjoy it's quality craftsmanship first hand.